Let's make a popular and delicious Greek recipe one can easily prepare at home. 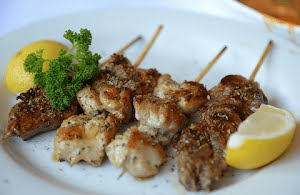 We've used both chicken and lamb chunks for the piping hot Souvlaki preparation. Traditionally, it is served wrapped in pita bread with tzatziki sauce. 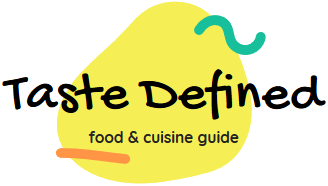 Spice quotient can be easily moderated as per your preferences. To get the best results, make sure the chunks are drenched in the marinade for at least 4 to 5 hours. Open charcoal barbecue is best for making this recipe, though a grill or a skillet can also be used for the same. Feel free to fire it up with a generous sprinkle of red chili flakes. So, let's quickly make this mouth-watering Greek recipe made with juicy and tangy meat chunks of lamb and chicken flavored with dried herbs. Do once try this flavorful Greek preparation made with chicken and lamb chunks flavored with select dried herbs and grilled to perfection for an aromatic taste. Keep grilling wood sticks in water for about 30 minutes. Take a large bowl and add red wine vinegar, oregano, thyme, lime juice, minced garlic, black pepper, olive oil and salt in it. Whisk for a minute to prepare the vinaigrette. Add both lamb and chicken chunks in the bowl and mix well with a spoon to apply the vinaigrette on the chunks. Thread flavored chunks within grilling wood sticks. Preheat an oven at about 220 °C. Grill the chunks from both the sides till they turn light brown. Garnish with lime slices and serve with yoghurt sauce and pita bread.